The Ultimate Guide to Selling on Facebook​ | Sell On Facebook Now! Having a Facebook store and running adds through a Facebook business page can be a great initiative to boost sales through a completely new channel. With over 1.4 billion users and 936 million daily active users, it is not new news that Facebook strives to be the next Google in termes of users and retention rates. With goals such as increasing the time people spend on the site, Facebook is testing out new seller features allowing you to sell anything in groups. Here are a few actionable tips and tricks to help you increase your Facebook return on investment. 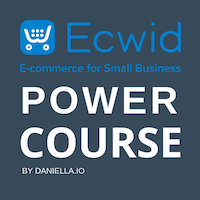 Ecwid is a modern eCommerce platform that is serving more than 40,000 small businesses and startups that want to automate their Facebook selling processes and leverage the true power of Facebook advertising. This platform fully integrates with Facebook for mobile, allowing you to reach millions of mobile and tablet users all across the globe. 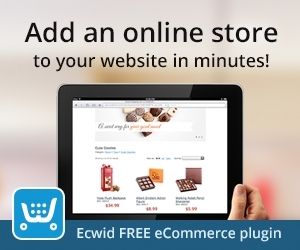 Ecwid allows you to create your own online store right on Facebook and boost your sales like never before. Ecwid is used by over 1.5 million merchants from over 175 countries worldwide. Ecwid can be seamlessly integrated with your existing website, blog, business page, mobile app or marketplace. It allows you to customize your storefront, organize products on categories, track orders, accept credit card payments and respond to your customers’ orders. There are numerous benefits as to why you should open your own Ecwid Facebook Shop. For starters, you can start selling within minutes. The platform is super easy to use and can be personalized to meet your unique needs. According to G2 crowd, a world-renowned solutions review platform, Ecwid is considered to be the fastest implementation Facebook platform. On the platform, you can easily create your own store or multiple sales channels for your eShop. According to the latest statistics from Ecwid, merchants who sell on Facebook see an average 15% increase in revenue after just a few months post implementation. Ecwid allows you to reach more customers, seamlessly sell across all devices and target the right prospect using retargeting thanks to the advanced pixel integration feature. Without using the Ecwid Facebook Shop features, you might be leaving money on the table. Many shops and small businesses decided to leverage the power of Ecwid, and they were surprised to see the results. For example, Mystea saw a 12% increase in revenue when they activated the Ecwid Facebook store feature. It only took them 2 minutes to open their Facebook omnichannel store and start selling on tablets, mobile and desktop right on their Facebook page. Each and every sell is synced to the control panel. You too can sell your products directly on your Facebook Business page, not only on desktop, but also on mobile and tablets. You can follow into the footsteps of thousands of other companies worldwide and take your advertising to the next level using the high-end features of Ecwid. Keep reading to discover how you can open your store on this platform and how you can scale your company implementing 3 essential Facebook store tips. How to Open your Facebook Store on Ecwid? Ecwid is a cloud-based platform, meaning that you mustn’t worry about a physical installation on your computer. All you need to do in order to use it is to sign up and then publish your store on Facebook. Because the tool is hosted on Ecwid cloud servers, you don’t have to worry about installing, upgrading, licensing, or maintaining anything. So how do you open your Facebook store on Ecwid? For starters, you need to make sure that you have a published Facebook page. You also need to have admin rights on the page. You won’t be able to use Ecwid if you only have advertiser rights. You also need to ensure that your store’s currency is supported by Facebook and your products comply with all Facebook guidelines for listing products and eCommerce policies. You will also need a paid Ecwid account to use the Facebook Store feature. Click the “Connect Facebook Page” button. You will be redirected to your Facebook profile. Connect to it and then select the business page that you want to use for your Ecwid store. Next, accept the Commerce terms from Facebook in order to allow Ecwid to upload all products enabled part of your catalog right on your Facebook page. After the upload is finished, products are sent to Facebook for review. Note that you can only connect this software to one of your business pages. If you want to use it on multiple pages, you need a separate Ecwid account for each one of those pages. Once your store is connected the Facebook and products are approved, click on the “View Facebook Shop” button in the control panel and check out how your Facebook shop looks like. You need to know that Ecwid facebook integration is a breeze, even if it might seem difficult in the beginning. This platform does all the heavy lifting in your place in order to streamline the process of uploading products on Facebook. All you need to do is to have a catalog on your Ecwid control panel. Go to the Control Panel, then Catalog and Products. Add your favorite products there, place them in their respective categories and do not forget to enable the category. All products that will be part of a disabled category will not be promoted online. Your Facebook store will look exactly as the catalog on your platform. As an example, if you have two root categories, one that contains t-shirts and the other eyewear, you’ll also have two separate collections on Facebook, with the corresponding active products. You can also create subcategories in order to make it easier for buyers to find what they are looking for. Note that Facebook allows up to 20 images per product. If you have more images per product, Ecwid will only upload the first 20 to your Facebook page. 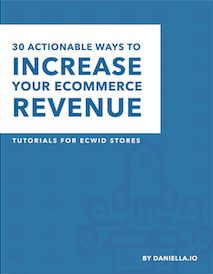 A crucial part of leveraging the power of the Ecwid platform is understanding the checkout process. When one of your customers selects a product they want to buy, they will be redirected to your site checkout page. They will use your preferred checkout method and will also enter your conversion funnel. You will be able to see all orders that came from your Ecwid platform on Facebook in the Ecwid Control Panel > My Sales > Orders. You’ll also get notifications from Ecwid by email or mobile app. Note that you can use the mobile app either on Android or iOs. Streamlined taxes and shipping: Ecwid’s shopping cart feature is integrated with all major carriers, such as UPS, FedEx or USPS. It automatically calculates shipping rates and allows you to enjoy a streamlined shipping process. WordPress eCommerce: If you have a WordPress site, then the shopping cart tool from Ecwid makes it super easy for you to advertise your products via catalogs. Your WordPress storefront will seamlessly integrate with Ecwid control panel, enabling you to get full control over your catalogs. Manage your store while on the go: Thanks to the Android and iOS apps from Ecwid, you can keep tabs on your sales, track inventory and even accept online payments whenever you are. All you need is a stable internet connection from your mobile carrier. Unlimited storage: Ecwid works with cloud servers, so they can give you unlimited storage and high-end security. Each transaction is end-to-end protection and benefits of SSL security. You also get seamless upgrades, regular back-ups and frequent security updates. Support Included: Probably one of the most useful features of the Ecwid facebook store is the constant support you will get from the Ecwid staff. The friendly customer service experts from this company will guide you step by step on how to transform your standard Facebook business page into a cash engine that brings you more sales and higher value customers. Activate the Instagram Shop Feature! Now that you have a Facebook store, why not setup the Instagram shop feature? Learn how by clicking on the button below that will take you to the Ultimate Guide to Selling on Instagram with Ecwid! Advertising your store on Facebook’s online platform is crucial if you want to maximize your reach and increase your ROI. Before looking at 3 big essential Facebook store tips that will help you get better results, we want to give you some quick ideas on how to boost your reach organically. You can easily tag your products in the photos you post on Facebook. The embedded product link will send your customers directly to your product in the store. You can also share your product catalog by clicking on the Share Collection button. Share individual products on Facebook from within your shop by clicking on the share button. Do not forget to tell your customers about the new Subscribe button in the Shop section. People who subscribe will be notified if you add new products to the store. All of the above are some tips you can use for free in order to boost your reach and get in front of as many customers as possible. However, you also need to leverage the power of paid media. As a new eCommerce business or startup, you are probably looking to get a larger slice of the pie. For that, you need to know how to make your company visible to the millions of customers out there. You need to get their attention by advertising your unique products. The best way to get more clients to your Ecwid facebook shop is to use Facebook’s own network. To start off, go to Ads Manager and create your first campaign. We suggest you choose Conversions, because that’s what you’re ultimately looking for. Thanks to the Ecwid facebook pixel, you will be able to track any conversions you’ve received because of your advertising efforts. In the beginning, we advise you to check the “Budget optimization” box, because Facebook knows better how your budget should be optimized. Next, assuming that you already have the pixel in place, you need to start designing your audience. Facebook will let you know roughly how many people you could reach. For that, look to the potential reach panel in the right section. When selecting your target audience, you need to have some stats from previous studies or from your personal experience. Who are those people more likely to buy from you? What is their age? Where do they live? What are their interests? What about their hobbies? Do they work at a certain company, or have a certain position? After you have selected the right audience for you, move forward to the bidding model. The safest bid you can make is pay-per-click. After a few weeks, you can move to cost per conversion. However, you need at least 10 conversions for that. The last step in the process is creating the actual ads. This is where the fun begins. You can choose from video, carousel, single image, slideshow and collection. You can even create an Instant Experience that works amazing for mobile users. What we recommend here is that you try all of them, over a period of several weeks. Create multiple split tests. For starters, use the same message and the same images, but a different type of ad. Then change the images gradually, and also change the text. Test various elements on each ad in order to differentiate between a winning ad and a losing one. Effective ads are those ads that bring you a good return on investment. You need to continually split test your ads and fine-tune your campaign in order to get better results at a lower cost. You need to advertise more products at once. We recommend you to create one campaign, optimized for conversions. Then, you can create 2 or 3 set ads, each with a different audience. Each set ad should have the same ads as the other ad sets. You can perform multiple tests inside each ad set. Test all variables, from copy and image to format and CTA button. After a few weeks and a seemingly low investment, you will be able to enjoy high-qualtiy ads that really convert. Facebook has grown to become an exceptional platform when it comes to analytics. They now have their own analytics tool, which gives you advanced results. However, since Facebook Analytics is pretty hard to configure unless you are an expert, we advise you to look for stats right on Ads Manager. See for yourself how certain ads are performing, how the audience is responding to your ads, and how engaged they are with you. You will find that some ads are more appealing to certain audiences. You’ll also notice that certain groups of people respond better to your ads. Based on the results and the statistics from Facebook, make all the improvements needed. You don’t need to wait one week for each split test. You can make changes while on the go. However, make sure to run each variation for at least 2 working days. You need to have a certain number of impressions before removing certain ads. What is the Ecwid Facebook Pixel? The Facebook pixel makes it easy for you to keep track of your conversions. You can use the information captured by the pixel in order to create winning remarketing campaigns and target your site visitors based on the action or actions they have taken on your site. Setting up the pixel is a must if you want to track the results you get on your Facebook page. For a seamless Ecwid facebook integration of your pixel, we recommend you to read the guide presented in the following section. The pixel is a code that has to be placed on your site. Once installed, it gathers precious insights about your site visitors. All in all, it allows you to get precious information so you can create targeted messages and enjoy a higher conversion rate. Remarketing: Ultimately, the pixel allows you to design powerful remarketing campaigns to people who have visited your site or just to those who have taken specific actions on your site. Once the pixel is up and running, you have more transparency on the advertising process. You’ll know exactly who interacts with your ads and who makes purchases. You’ll also know who has abandoned the cart or who was unable to finish the payment. Thus, you’ll be able to design dynamic ads and segment your audience based on their actions on your platform. Setting up the pixel on your site is super easy. In order to create the pixel, go to your Ads Manager account and then to Pixels. Click on the green button in the middle and then choose a method for installing it. You can either use an integration tool, Google Tag Manager, or manually install the code on your site. You can also email the instructions to your developer. For Ecwid, the easiest thing you can do is to find out Ecwid from the Facebook partners list. Then, the tool will done the rest. Once your pixel is live, you will be able to start creating powerful campaigns on Facebook. You’ll also start collecting precious data you will be able to use to optimize your efforts and design high-end remarketing campaigns. Facebook offers another service you may want to look into to offer better customer service. You can add a Facebook Messenger bubble to your website to interact with your customers directly. Zotabox allows you to set this up very quickly and easily on any website. On your Ecwid facebook shop, you will be able to customize your online store and optimize it according to your own preferences. You can either choose from the suite of specific CSS styles available on the Ecwid control panel, or upload your own product images and descriptions. To personalize your store, simply go to the Ecwid control panel. That is the place to control your new Facebook store and customize it to suit your needs. You can even customize it via the mobile app, while you are on the go. Ecwid offers integrated payments in order to make it easier for your customers to order your items. You can also give refunds right on the Ecwid control panel. This tool seamlessly integrates with your WordPress store. You can even migrate from WooCommerce or other eCommerce plugins to Ecwid for Facebook. In terms of payments, Ecwid supports PayPal Express, PayPal Payments Pro, PayPal Advanced, Square, Authorize.net or Stripe. Moreover, it also allows offline payment methods, such as check or cash on delivery. It makes it easy for customers to order for you and streamlines the delivery and payment processes. With the Ecwid facebook shop, you can finally move beyond sharing on Facebook. You can take your business to a whole new level and get your own personalized Facebook store right on your business page. Thanks to the Ecwid facebook mobile app, you can keep track of all your orders while on the go and stay in control of everything that happens on your eCommerce account. You can easily create remarketing campaigns thanks to the seamless Ecwid facebook pixel integration. You can also analyze the results and create personalized, automated Facebook ads campaigns to target your specific groups of customers. Join over one million entrepreneurs and startup owners who are following their dreams and are enjoying huge success in their niches. Sign up for free and start selling on Facebook using the most reliable eCommerce tool available today.